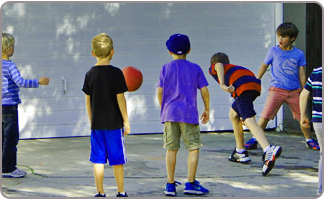 A sports party is a fun way to bring any kid's favorite pastime into his celebration, and if your child enjoys extreme sports, we have stunning sports birthday party ideas to make it easy. Our extreme sports party supplies will create the perfect scene for a fun sports party everyone will remember long after. While an extreme sports party is fun for a theme, it's probably best not to have anyone actually engage in extreme sports as they are dangerous. Plan for other ways to work the theme in. If the weather will cooperate, plan for an outdoor party. Look for a park that offers sports fields where you can engage in some fun, active games. Watch a few extreme sports videos to help you get sports party ideas and give you inspiration. Choose one or two extreme sports to focus on in order to narrow down your party theme. 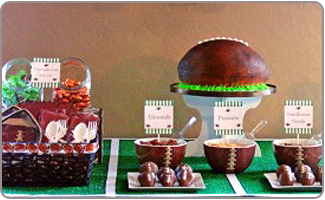 An invitation for a sports theme party can be very general or very specific. Choose from our selection of pre-printed Sports theme party invitations to find the right ones for your party. Create your own sports party invitations by choosing one sport and printing off a card with an image of someone engaging in that sport. Fill in the party details inside the card. A simple invitation can be made by cutting our circles of construction paper and decorating them to look like various sports balls such as baseballs and basketballs. 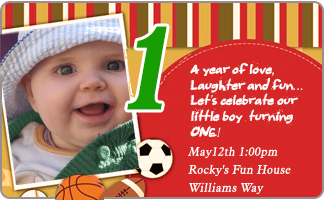 Photoshop your child's picture into the face of a sports hero then printout the picture to make the sporty invitations. Fill in other party details using glitter pen. Use "extreme" wording to make up the invitations – just the word extreme itself can be worked in easily! 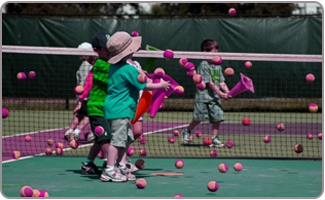 Include a photograph of your child with different types of sports balls including baseball, basketball, football etc. Real extreme sports aren't a good idea, but you can buy finger skateboards and toy dirt bikes and have races. Engage is some safer sports out on the field like football or baseball. Don't forget safety equipment. Play clips of various extreme sports, and pause mid-trick. Have the guests guess what will happen next, since the sports are full of surprises! Play "What Extreme Sport Am I?" by sticking a picture of a sport to each person's back. They must ask questions to find out what sport they are wearing. Play a trivia game by naming tricks and slang from various sports and seeing who can name them. Hand out finger skateboards and toy dirt bikes as great return gifts. Give everyone a set of knee and elbow pads to use in their extreme sports adventures. 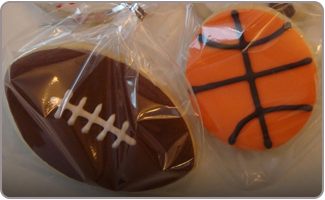 You can also opt for edible favors like cookies in the shape of baseballs, basketball or other, nicely packed look wonderful and make great favors. To add to the extreme sports party theme, make "dirt cakes", since many extreme sports leave the players quite dirty. Use crushed chocolate cookies and chocolate pudding. 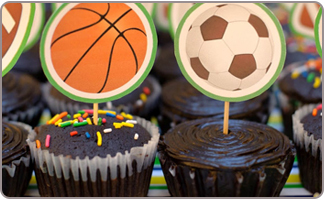 Serve each kid a chocolate cup cake topped by sports theme cupcake toppers such as basketball, football etc. Create an easy extreme sports theme party cake with a cake topper from our extreme sports party supplies. Use classic sports-watching food like hot dogs, pizza and nachos to create a delicious spread. For snacks, classic sports munchies are pretzels, peanuts, and potato chips. If you are looking for sports theme birthday party decorations in India, pick up a variety of extreme sports party decorations from our wide selection of great party supplies. You can use just about any colors you want for your theme, but try to go with colors worn by the guest of honor's favorite sports figure or team. Take a toy wheel from a motorcycle and roll it through paint. Then run it over some large poster board and hang them on the walls so that they have tire tracks running across them. Do the same with a paper tablecloth. Hang pictures of people doing all kinds of extreme sports all over the walls, make balloon bunches with sports foil balloons for a fun & sporty look. Place helmets, knee and elbow pads and other protective gear around the room. Choose decorations that match the specific extreme sports you are trying to represent for your party.